With the third major content update for NHL 15, EA Sports has taken the PlayStation 4 and Xbox One version of the game one stride closer to where they it have been at launch. 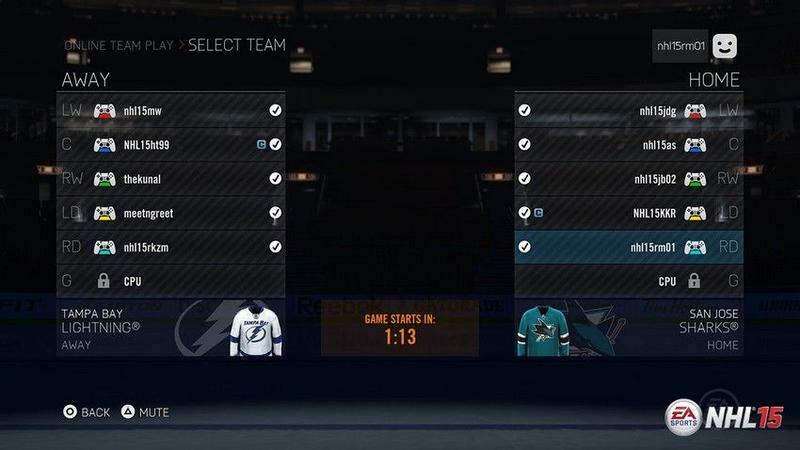 The new update includes two of the bigger requested features: Online Team Play and the Rookie Draft in Be a GM mode. Here's the official description for both from EA Sports, in case you have no idea what they are. Without the EA Sports Hockey League, this game just won't be the same for me personally. Still, OTP and the Rookie Draft are huge components in this franchise, so hopefully their additions will make some gamers extremely happy. In other good news, the following clubs now have their new third sweaters available for play. Yes, that third Pens jersey shall be virtually mine!